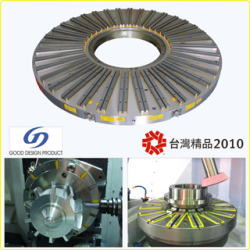 Suitable for use on Vertical Lathe, CNC 5 Axis Machining Center and etc. Minimum thickness of workpiece required : 10 mm. or same dimensions of any other forms of workpiece. More functions for cooperate with induction plate, can do positioning on workholding. 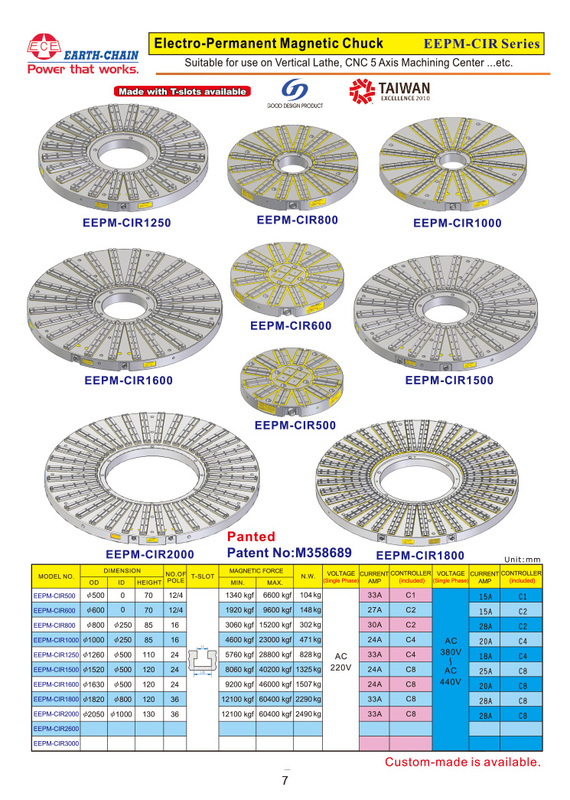 *Round type and radiate magnetic poles, suitable for clamping round type and any form of workpiece machining. *1 ~ 10 seconds control for power ON & OFF. No electric power supply required to keep the magnetic chuck ON, cable can be taken off for turning chuck freely while machining. *Un-obstructed movement of cutters during machining, the really functions of 5 side machining on workholding. *Design of Electric-Permanent, never gets temperature to effect the accuracy of workpieces.